The incident happened at Jalan Genting Klang road in Setapak, Kuala Lumpur on 13 July. 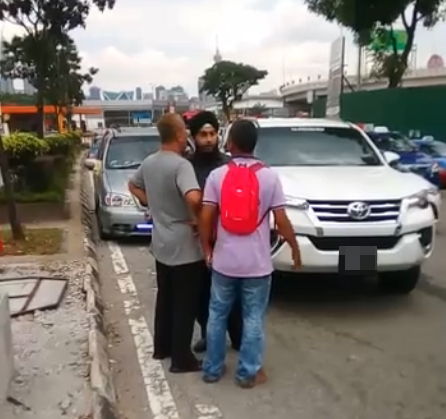 The video depicts the man, identified as Simren Singh, who got into a scuffle with another man in a grey T-shirt, while a few other bystanders were seen trying to calm the duo down. As heated words were exchanged during the incident, Simren can be seen using rude hand gestures. The other man was visibly upset, and proceeded to hit and kick Simren's vehicle as he got into his car. Simren was then seen reversing and knocking into the other car parked at the roadside before he drove off. It was learned that the incident happened last week on 13 July along Jalan Genting Klang road in Setapak, Kuala Lumpur. Seberang Perai Municipal Council member, David Marshel, shared the video recording of the incident on his Facebook page. The video has received more than 1 million views ever since it was uploaded last Saturday, 15 July. In a report by theSun, the businessman said that netizens should avoid making hasty judgments based on the video they saw without knowing the full story. "One has to avoid making decisions based on a YouTube video. Yes, it is not right to make rude hand gestures. But did the video viewers know what actually happened? Some social media users are even hurling profanities and threatening me," he told theSun. Based on his account, Simren was driving and tried to enter the right lane when the other driver hit his car. "It was an accident and so we parked our vehicles at the side of the road to discuss the matter. But the man looked angry and used racist slurs on me." Simren explained that he had told the man to settle the incident with him. "I noticed that the man's vehicle road tax had expired. Passers-by started to intervene and I decided to escape the scene. The man was taking pictures of my car and for God knows what reason, he started to punch and kick my vehicle," he said. On why he had rear-ended the other man's car while leaving, Simren said that he did so in his haste because he was rushing to leave the scene as he feared for his safety. According to Simren, he has since made a police report. However, he was told by the investigating officer that the other driver has yet to file a report. In another video that has surfaced on social media, Simren was caught on camera and appeared to be taunting another driver on the road. It was revealed that this particular incident happened earlier this year. 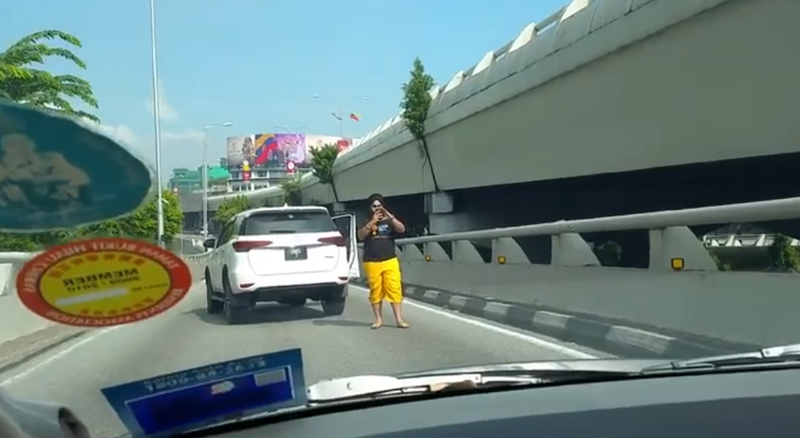 To this, Simren said that the video failed to show the whole story where the other driver had failed to show the part where she had rear-ended his car and tried to escape. This led to Simren giving her a chase in his attempts to "block her from escaping". "Eventually, she stopped and I got out of my car to take a picture of her car and that's when I saw her passenger, who is a foreigner, recording my actions,"
"If I am a road bully, I could have used a weapon or anything to threaten her but I didn't do it," he was quoted as saying by theSun. What are your thoughts on this incident? Share with us in the comment section below. The incident happened at a primary school in Putrajaya. Yup, that Proton Saga Aeroback from 1987.